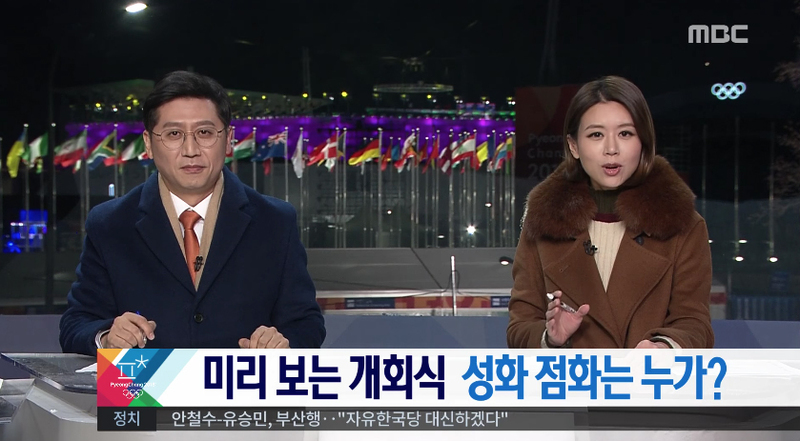 Korean broadcasters MBC News (뉴우스 데스크) and KBS (한국방송공사) have both set up studios with sweeping views of Pyeongchang Olympic Stadium to cover the games on their home turf. Although the country’s SBS is the primary rights holder to the games, it shares those rights among KBS and MBC. 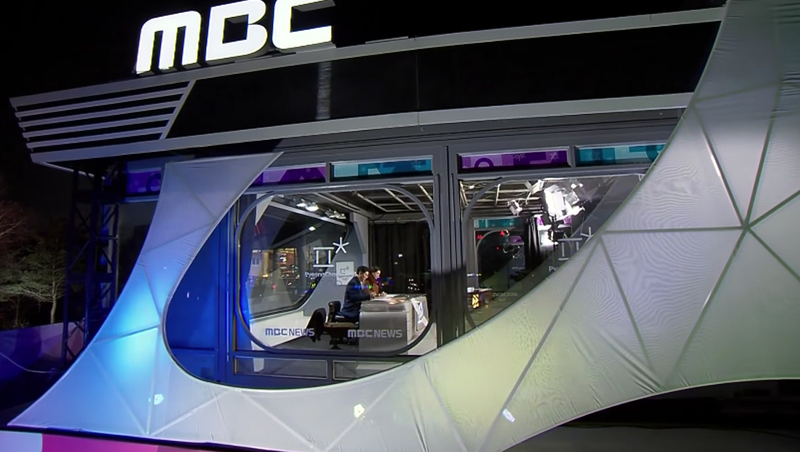 MBC built a skybox-style temporary structure that features a curved, geometric backlit skin and sweeping views of the stadium and flags fluttering in the background. A side window of the broadcast booth features the PyeongChang 2018 logo along with a banded version of the MBC logo.